I followed the sketch pretty closely regarding the layout but changed things up by making a square card without flowers. That's the beauty of a sketch challenge. It doesn't have to be exact, more so a jumping off point! To replace the floral images, I used the star shape from the Fun-Fetti Fri-Dies. This was super easy to do as the cut outs are already lined up for you! I backed the navy cardstock with some gold glitter paper leaving a small border to create a mat. 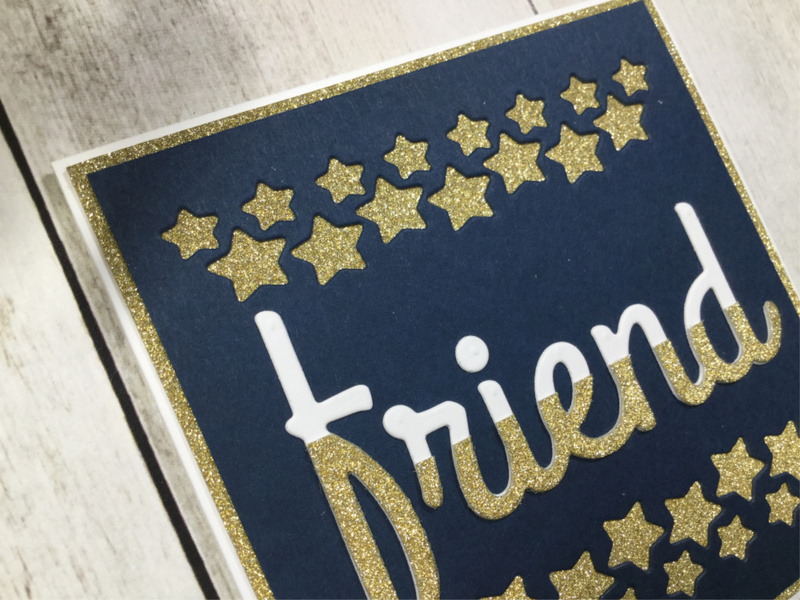 I cut the Friend Fri-Die out of white cardstock but decided it was a little too stark against the navy cardstock. 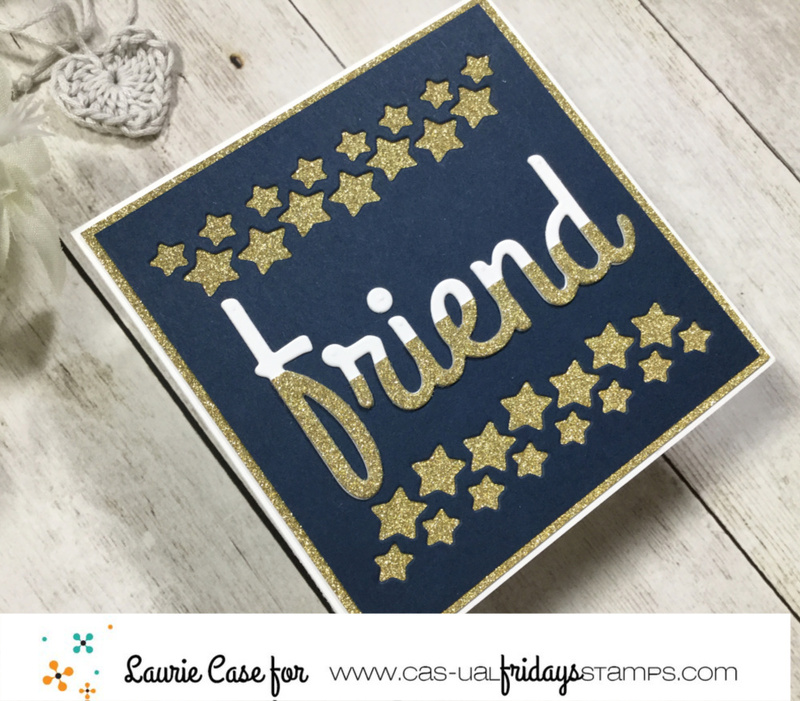 I lined up the edge of the die with the same gold glitter paper to create that two toned effect. The navy and gold piece was adhered to a 3.5 X 3.5 inch square, white card base. 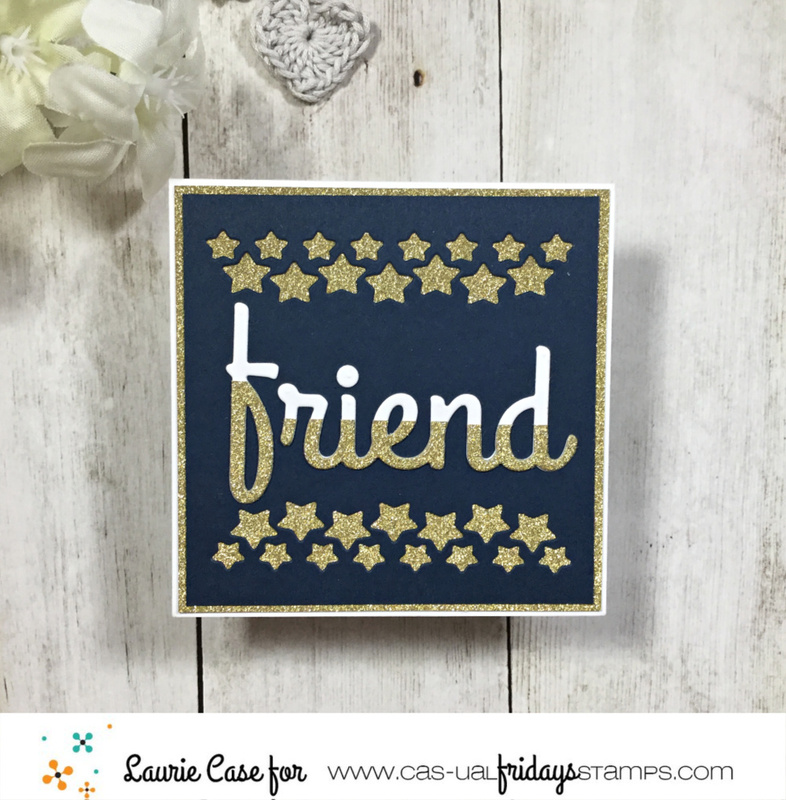 The small white border ties in nicely with the white part of the Friend die cut. I skipped any sort of embellishments on this card because the gold paper really sparkles! Simply link up your beautiful creations using the "In Linkz" on the CAS-ual Fridays Challenge Blog. 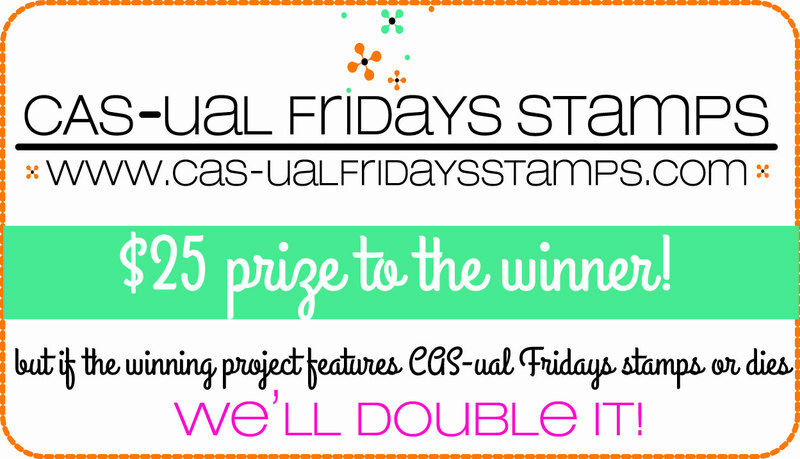 You do not have to use CAS-Fridays products to play along or win!! 10 winning entries will be highlighted on the CAS-Fridays blog each Thursday before a new challenge is set to go live the next day. 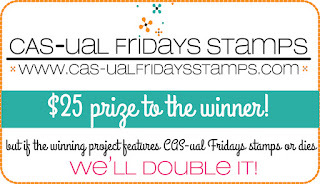 In addition, Michele has generously offered up a $25 gift certificate to the overall winner at CAS-ual Fridays Stamps. 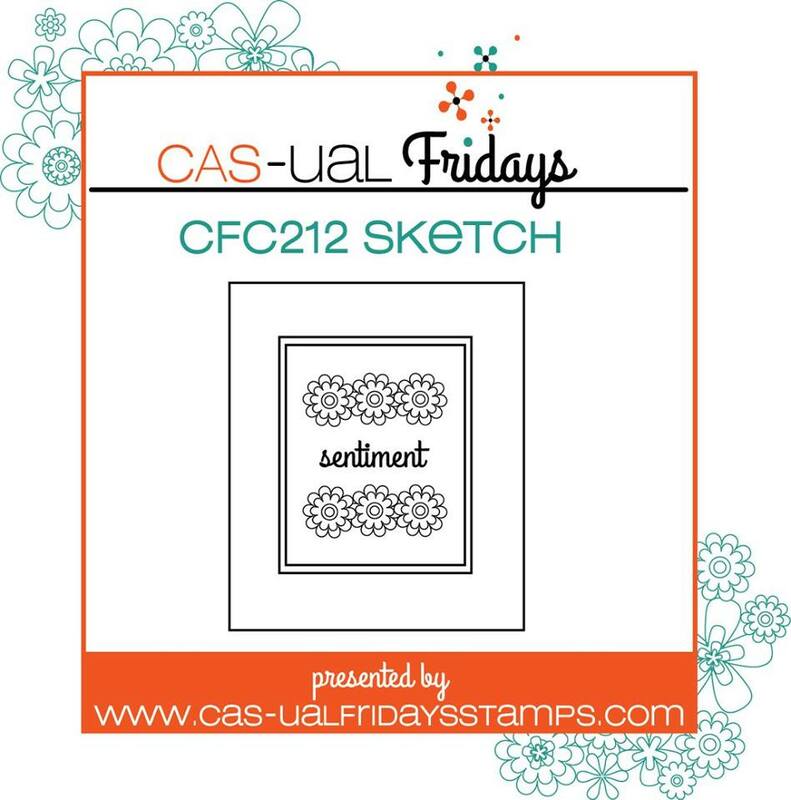 And if that weren't enough, if the chosen winner has used CAS-ual Fridays stamps and/or dies as the main focus in the card, that gift certificate will increase to $50. Good luck and I cannot wait to see what you've created! !